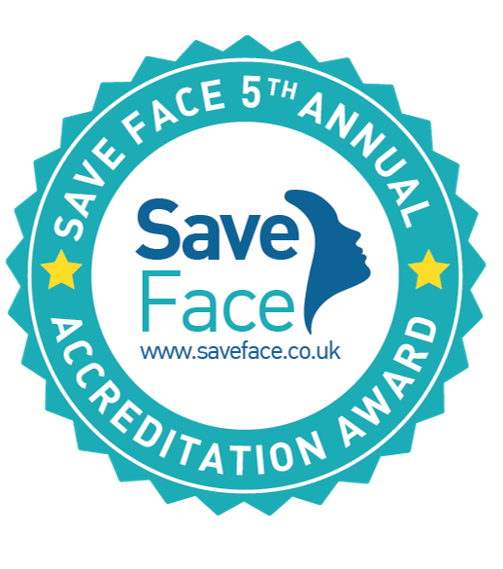 Founded by experienced medical aesthetic doctors – Dr Victoria and Dr Charlotte – our approach is all about helping you to be the best version of yourself, achieving beautiful, natural-looking results with the latest treatment innovations, delivered by highly qualified experts that you can trust. We specialise in non-surgical thread lifts using both PDOs and Silhouette Soft threads and advanced facial aesthetic treatments, such as injectable treatments for lines and wrinkles, medical skin peels and thread vein treatments using Thermavein. From the moment you step through our doors, you will receive the highest quality care and a tailored approach to meet your precise skincare needs. All our patients begin their River Aesthetics journey with a full, no-obligation medical consultation, to help identify areas of concern and develop a tailored plan to meet your individual skincare needs. Your safety, happiness and quality results are our number one priority. We will always offer sound professional advice based on your individual requirements and will only offer treatments that we consider are both effective and safe. We will never offer any treatment that we would not consider for ourselves. You will receive treatment recommendations and full information about our aesthetic solutions that you can consider at your leisure before agreeing to any treatments and you’ll never be placed under any pressure to have a treatment. Once you have made your booking, you will be looked after by Dr Victoria or Dr Charlotte – nobody else! Our appointment intervals are booked so that you will not feel rushed, and wherever possible and we offer appointments at times that will fit in with your busy lifestyle. Our philosophy is about not only addressing skincare problems and delivering fantastic, natural-looking results: we help you maintain beautiful, healthy skin for as long as possible, which is why our patients come back to us again and again. I have recently had Botox for my chronic daily migraines and it has changed my life! I have had one headache in two weeks which is amazing as I am used to having them all day every day and taking strong painkillers. From the consultation to the treatment Victoria listened and put me at ease. It has changed my life I cant recommend river aesthetics highly enough, thank you so much ! I had such a lovely afternoon at this beautiful clinic. From the moment you walk through the door to leaving the whole experience is luxurious. Charlotte and Victoria are also the most professional and caring doctors I have ever come across and the results were instant and amazing. I highly recommend River Aesthetics !! I have just been to river aesthetics and had lip fillers done with Dr Victoria, I am absolutely amazed by the result. There was hardly any discomfort after the numbing cream and set in, it was all over so quick and the results are amazing. I now have beautiful full lips that are symmetrical and so natural. When I had my before photos done I had no idea on how unsymmetrical my top lip was. I am so pleased with the result and will most definitely be back, I highly recommend river aesthetics. I have been going to River Aesthetics for over two years now and I am beyond happy. This is such a professional clinic. Thank you so much for all that you do for me. I have never felt so good. I have had several procedures and have always had excellent care . I am so pleased I discovered River Aesthetics . My PDO facelift continues to give great, natural results. Looking back it has proven to be one of the best beauty investments I have ever made. Real lasting results and no trauma attached to the procedure. I would happily and wholeheartedly recommend River Aesthetics to anyone who is serious about looking the best they can. Victoria was really good at listening to what I wanted to achieve, her knowledge of products and what they can do is extensive and she has a very good mix of professionalism and friendliness which immediately put me at ease. I thoroughly recommend her and am delighted with the results I have had. I had treatment at River Aesthetics back in March/April, Victoria & Charlotte made me feel very welcome as we discussed my treatment, during treatment we chatted and I felt very relaxed, I was so pleased with the outcome I booked another appointment. Victoria & Charlotte are very professional, warm, kindhearted ladies, and I would recommend anyone thinking of having any treatment to visit River Aesthetics, you won’t regret it. I would highly recommend, very professional ,friendly and felt in very safe hands . I have had various treatments over the last three years. I trust both Dr Victoria and Dr Charlotte with the most visible part of me., my face. I would recommend them to anyone considering a procedure. Have confidence, this is the best solution for long visible results without the pain, expense, risk and down time a full face offers . I would recommend these wonderful doctors to anyone. A brilliant solution for so many of us. The advice, care and all the treatments I have received have been outstanding. Unlike other clinics I have attended in the past, neither Victoria or Charlotte ever pressure you into treatments, rather they err on the side of caution and make sure you are fully aware of the procedure you are about to undertake. I was unsuitable for a thread lift breast lift and they referred me on where another clinic might have taken the money and done a mediocre job. If Charlotte or Victoria feel they can’t get 100% fantastic results then they won’t do it. I feel I am in very safe hands. I have been delighted with the results and have repeatedly gone back for treatments for three years now. I would not trust any other clinic with my anti-aging management. I have had a number of treatments and 100% satisfied. Would not go anywhere else. Excellent service all round. Made me feel more confident as well as younger. I find Rverasthetics a very friendly and professional clinic. I would definitely recommend to others. CHARMING , CARING AND PASSIONATE ABOUT CLINIC. Helpful, professional, no pressure to have treatments unless they are right for you. Excellent. 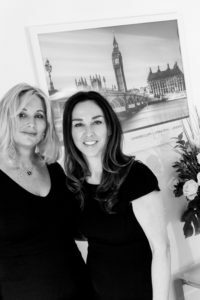 Dr Charlotte and Dr Victoria are lovely, I’ve always felt completely comfortable, relaxed and confident during every visit to River Aesthetics. I’m thrilled with the results of my thread lift, I can’t thank you enough. Looking forward to my next visit and treatment, I can thoroughly recommend Charlotte and Victoria, they provide a calm and relaxing atmosphere and are friendly and professional. I have fond both Charlotte & Victoria to be very courteous & professional in their treatment for for me and am very happy indeed with their clinic. I have had a number of procedures at Riverside Aesthetics over a year and have always been advised when it will hurt and when it’s less likely. As a result of the procedures I’m constantly told ‘you look well’. I’m confident Riverside Aesthetics will keep me ‘looking well’ and not let me end up looking freakishly overdone. Both Charlotte and Victoria are easy to talk to, they give me time and I’m extremely confident in their ability. The staff at waterside aesthetics, are always friendly, professional, and courteous. Thank you so much for my thread lift Victoria, my lower face and jowls look so much better now. What a difference! You were quick, gentle and very reassuring during this treatment and my previous treatments of IV Vitamin therapy that I had with you. I am now looking to returning for more, perhaps a peel or a PH Formula treatment next time?! I can’t thank you and Charlotte enough and will continue to recommend you. The treatment was fantastic. Highly recommended. 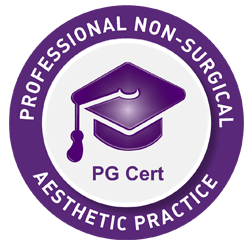 of the most up to date procedures, makes this the premier non- surgical cosmetic clinic on the south coast. This was my first, on any treatments. I have been delighted with the whole process from start to finish. I felt extremely confident in the abilities of Charlotte, she made me feel relaxed and explained the procedure well. Both Charlotte and Victoria are professional, listened carefully to my concerns and the results have made such a difference to my confidence. I feel in very safe hands and there is a lot of information available if needed. I like the fact that they have all the latest treatments available on the market to try and they are very experienced in what they do. Very professional and up to date. Always a pleasure visiting. Both Victoria and Charlotte are delightful, professional and extremely competent. I have no hesitation in recommending River Aesthetics. Charlotte and Victoria run a very professional practice. I feel completely safe in their hands. They really listen to your concerns, then off advice, leaving you plenty of time to think about things. At no time is there any pressure at all. I have been completely satisfied with any of the treatments I have received at River Aesthetics. Victoria is wonderful. Always so professional, friendly and excellent treatments with pleasing results. Highly recommend. Great Clinic, Great team. I was in very safe hands and have already booked my second appointment. I was really pleased with the service from my first visit having never done anything like this before I was a little nervous, excited and apprehensive all mixed up together but I felt very safe and had faith that the physician knew exactly what they were doing. Professional, knowledgeable, informative and sincere! Both Charlotte and Victoria are innovators and have an infectious enthusiasm for delivering the best results possible. They have gained a great reputation for being thorough, exact, fully educated and informed. Both are Doctors and they remain at the cutting edge of knowledge through seminars and training conferences both in the UK and abroad. Their depth of knowledge about the human body and its intricacies is first class easily assessing what works well for different people and their needs. Sympathetic, kind and a great sense of humour – you will be in very safe hands. Most pleasant time ,from start to finish .Also felt in safe hands. I would strongly recommend them . I felt totally confident in the care of Charlotte and Victoria and will go for further procedures in the future. Fantastic service! I went in to have a large skin tag removed and it was carried out promptly and professionally. I highly recommend the services of River Aesthetics.